Opal is truly an exceptional gem possessing an unrivaled fascination. It’s no wonder their beauty has stirred the hearts of artistic souls and the passions of mankind for centuries. But they can play hard to get and be downright stubborn in revealing their beauty–– especially without costing you a small fortune. This is why finding the best gem cutters in the field is paramount. In fact, when your job entails working with rainbows you have to have a little leprechaun in you. After all, it takes a certain kind of magic to know just how to cut an opal in order to release its most extreme color-play capabilities. In the hands of our highly skilled leprechaun, we mean gem cutter, the gorgeous blues of an Australian opal are coaxed to perfection, resulting in a stunning display of dancing iridescence. Using a precision triplet cut our guru is able to “triple” the color-play quality of the opals in the Rainbow’s End Opal Triplet Ring without quadrupling the price. A dimensional opal of this quality would set you back almost $1,000. 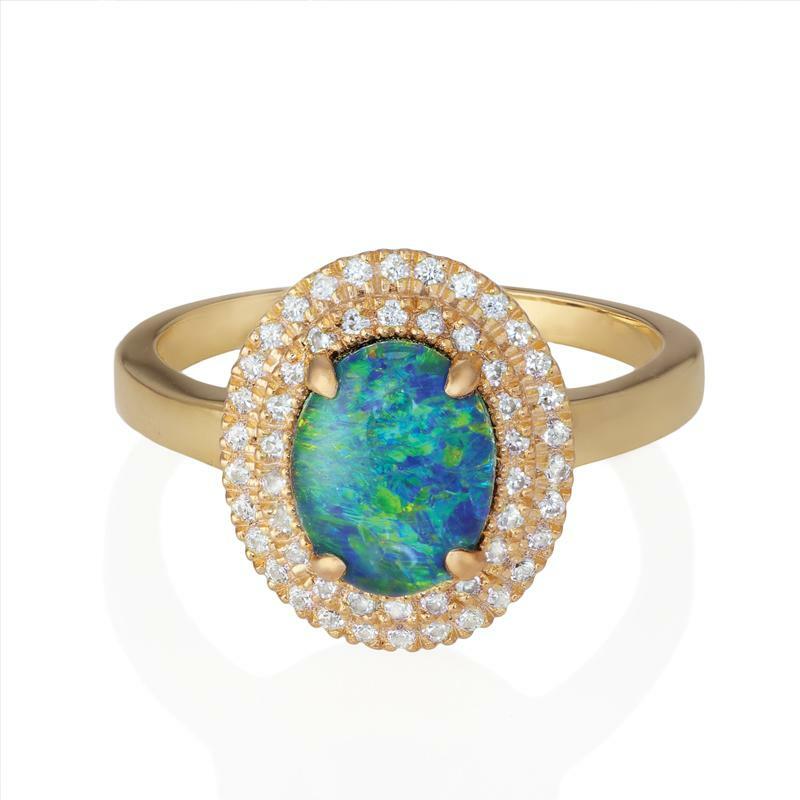 In the hands of Stauer’s magical gem cutter we put the opal’s best face forward and crafted a picture-perfect piece of wearable art for a fraction of the cost.